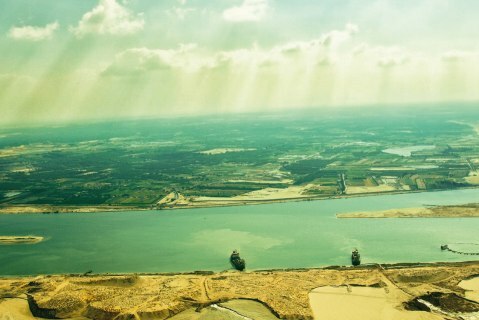 As part of a major global WPP project for the Suez Canal Authority, the Moscow office of PBN Hill+Knowlton Strategies was hired to promote the opening of the New Suez Canal to the Russian public. 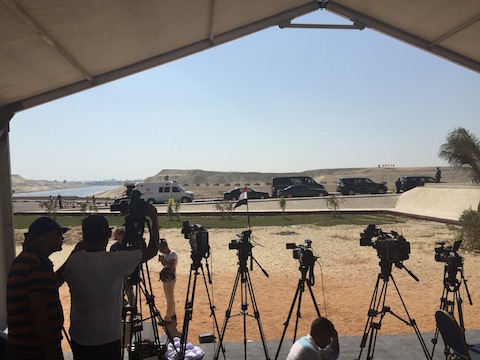 Our objective was to highlight Egypt’s impressive achievement of building the new canal in just one year, raise awareness of the news, bring top-tier Russian media outlets to the opening ceremony and inspire positive stories around the event. Because of the strict security regulations, only very few event details were available in advance – the team was not able to share the list of VIPs in attendance or the exact program with the media. The media was also reluctant to confirm their attendance because of rumors President Vladimir Putin might attend the ceremony, taking his media pool with him. For us this would not have been the best solution because his journalists would focus only on certain angles of the story, while we had been briefed to highlight the economic impact of the new canal rather than focus on politics. Thanks to a great team effort, we managed to recruit top tier Russian media to fly to the ceremony. The news secured massive coverage in the Russian press with more that 600 news pieces published and broadcast on August 5 – 7. Many outlets, including Russia 24, a top federal TV news channel, and the leading news agency Interfax, ran the Suez Canal opening as the top news story of the day, and reported throughout the inauguration day on August 6. Hats off to the project team from PBN H+K’s corporate comms practice, which included director Natalia Koroleva and senior account managers Timur Shishkin and Tai Adelaja.